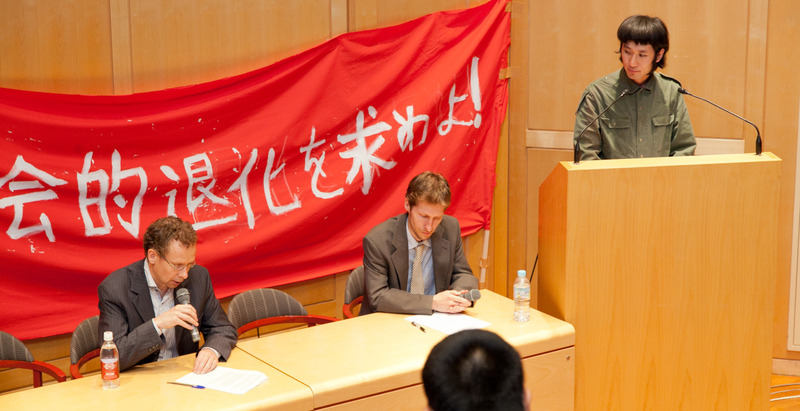 At the Embassy of Sweden in Japan, a banner that says “What we need is social regression!” is held up to question the contradiction of a social model of unlimited growth which capitalism faces, and the necessity of accepting social regression to solve this situation is addressed in a political speech. An interpreter consecutively translates the speech into English and Swedish, however, the translated content is spoken toward a different subject for each language, differing completely from the original speech. 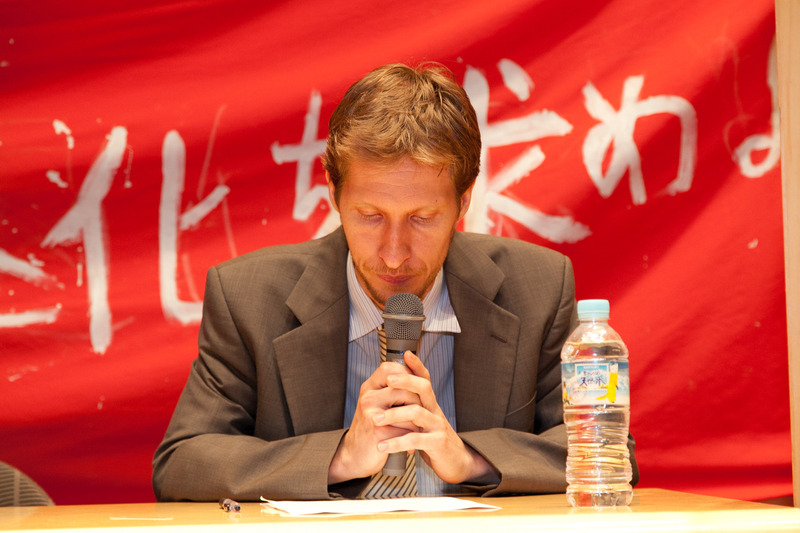 By pretending to interpret but delivering a completely different content in an irreversible structure of information delivery where the crowd has no means of fully knowing what was originally spoken before the translation, the speech becomes purely dependent on the language the crowd listens to. Like news reports to other countries in this information society, a misunderstanding or misconception might occur for anything without intention when it is delivered to countries with different languages and social situations, but what is generated by this?